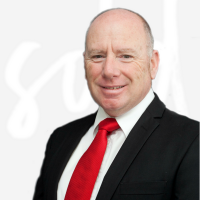 Robert has had the privilege of helping people sell and find their homes locally since the year 2000. During that time the market has shifted through both good and bad times. Throughout it all Robert has found that training, enthusiasm and persistence have been critical factors when it comes to success and longevity in real estate. Robert believes that the public deserves agents who are not only exceptional at what they do, but also care about the needs and feelings of their clients. With these beliefs in mind Robert and his wife Tracey opened Elders Real Estate Forster in January of 2014 hoping to make a difference for everyone they are fortunate enough to call their clients. Robert is attentive to every aspect of the business whether it be selling, buying or property management and would love to talk to you about any real estate needs. Meet some of Robert’s happy clients.